It’s rare that you see an online course devised by a nationally accomplished professional boxer. Professional Fitness Tips have teamed up with the British Light Welterweight Champion, Darren Hamilton to deliver their Beginners Boxing course, which I’ve had the opportunity to review. Beginners Boxing is a well thought-out 12-week boxing and fitness programme that covers warm-ups, boxing basics (including the mental aspects of boxing), body conditioning and diet. Each week (3-days per week / around 1 hour each session) entails a specific diet programme combined with a workout programme. People who have little or no knowledge of boxing and want to learn the fundamentals such as balance, footwork and punching techniques. People who want to use boxing fitness techniques to get in shape. People who wants to have an organized and easy-to-follow fitness programme. Please bear in mind that most exercises in the Beginners Boxing course can be done independently without the use of equipment, but certain accessories are necessary for some workouts such as a skipping rope, heavy bag and swiss ball. 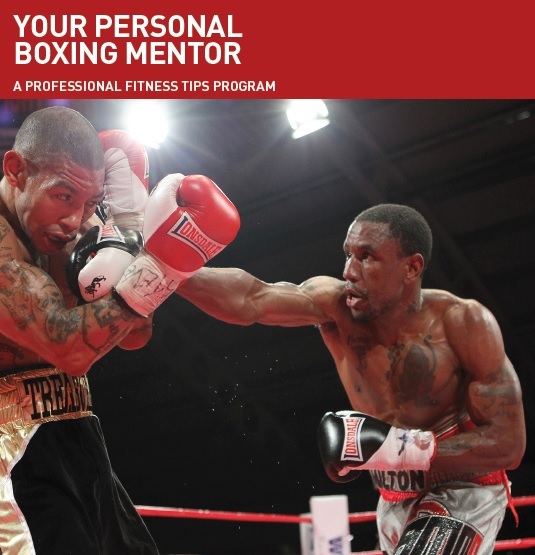 65-Page Beginners Boxing eBook – This is where the bulk of the guide is, and it goes through everything from physical and mental preparation, diet and meal planner, warm-ups, cool downs, workouts and fundamental boxing techniques. 65-pages seems a bit modest, but actually this is due to the smaller font and the compact layout of the guide itself. Beginners Boxing Diet And Fitness Programme – This PDF guide is what makes Beginners Boxing simple to follow. It’s an organized planner that covers what to eat, when to eat, what days to do what exercises and the duration. 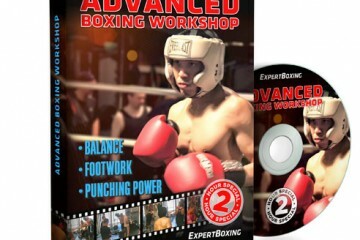 Online Tutorial Videos – The boxing techniques and workouts explained in the main eBook is also put into video format in the members area, and presented by Darren himself. Goal Setting eBook – Writing your goals down help you to achieve them better, and this eBook helps you to identify what it is you want to achieve and action planning. You can leave this part out and just work through the main guide, but it will be handy to some people. Wall Calendar – Another useful bonus is this calendar that allows you to track your progress over the course of this programme. Starting boxing at the age of 12, Darren Hamilton has gone from sleeping in a gym at Rooney’s Boxing Gym to becoming the current the British Light Welterweight Champion, Southern Area Light Welterweight and British Masters Light Welterweight Champion. He’s also currently ranked within the top 20 of the light welterweight division, and number 2 in the UK, just behind Amir Khan. 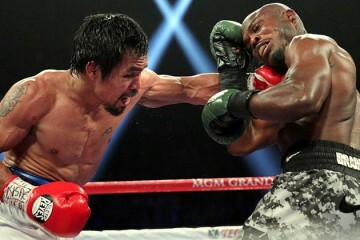 He’s not known for his power, but has won the majority of his fights on out-boxing his opponents. Not only is Darren a boxer, but he has also been a boxing trainer for over 4 years, with qualifications in Gym Instruction, Personal Training and Sports Nutrition, and has recently assisted the legendary Roy Jones Jr. in running a boxing class. The fact that Beginners Boxing is created by a national champion with qualifications in fitness and diet, makes it even more credible as a boxing and fitness course. However, this alone is not enough to make a course great. It needs to be easy-to-follow, have the right presentation and proven information, things that this course delivers on. Very informative section about the type of diet you should have to get the most from your body. A handy meal planner that presents you with easy-to-make meals for breakfast, lunch and dinner, including snacks and protein shakes. The section that helps you to get mentally focused and prepared physically with a variety of stretches and warm-ups, and of course teaching you how to wrap your hands. I would have loved to have been able to download the videos, but I understand why that’s not an option with all the pirating issues on the Internet. 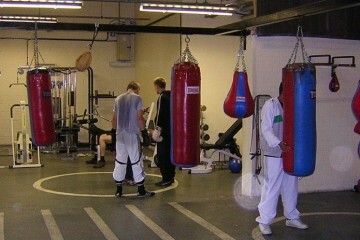 I would describe Darren Hamilton’s Beginners Boxing Course as an extensive boxing course that incorporates many boxing drills and techniques that professional boxers do. It’s intended for beginners, but I feel it delivers more than that, which is why I credit and recommend this course.